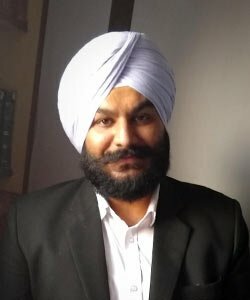 Mr. Sukhmeet Singh Bhatia is enrolled with the Bar Council of Punjab and Haryana, since 2014. After graduating from Panjab University, Chandigarh, Mr. Bhatia’s zeal towards legal practice and profession has helped him carve his own distinct identity. Being born and brought up in a family of legal practitioners has surely developed and polished his aptitude and debate skills in formative years itself and he is, therefore, skilled in handling every kind of legal dispute ranging from Matrimonial to Real-Estate. Also, it is Mr. Bhatia’s curious edge towards legal research which helps him in standing out. The zest to bring satisfaction to his clients is his primary goal and he strives to achieve the same.